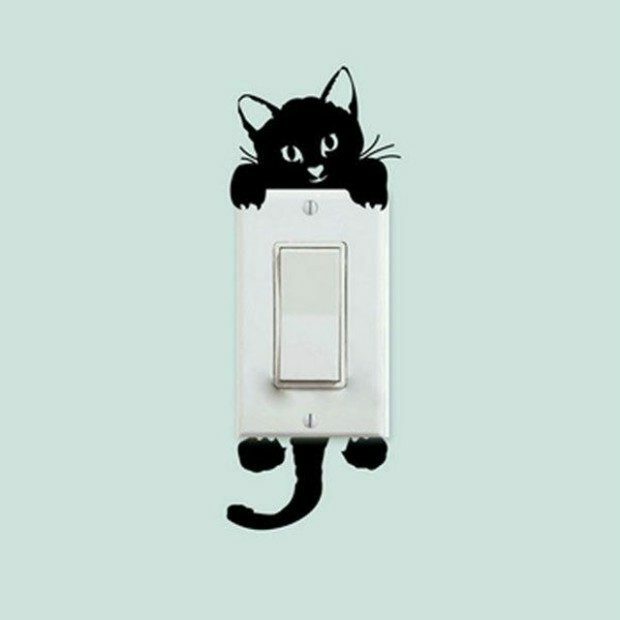 Cat Switch Sticker for Just $2! Ships FREE! You are here: Home / Great Deals / Cat Switch Stickers Just $2! Ships FREE! Cat Switch Stickers Just $2! Ships FREE! Add a whimsical touch to a kid’s room or playroom! Get a Cat Switch Sticker for Just $2! Ships FREE! This decal is approximately 6.5 X 2.75 inches, and designed to work with a light switch! Click here to check out more Great Deals!